Cub scouts and boy scouts love magic. Who doesn’t want to learn secrets, entertain their friends, and be the life of the party? 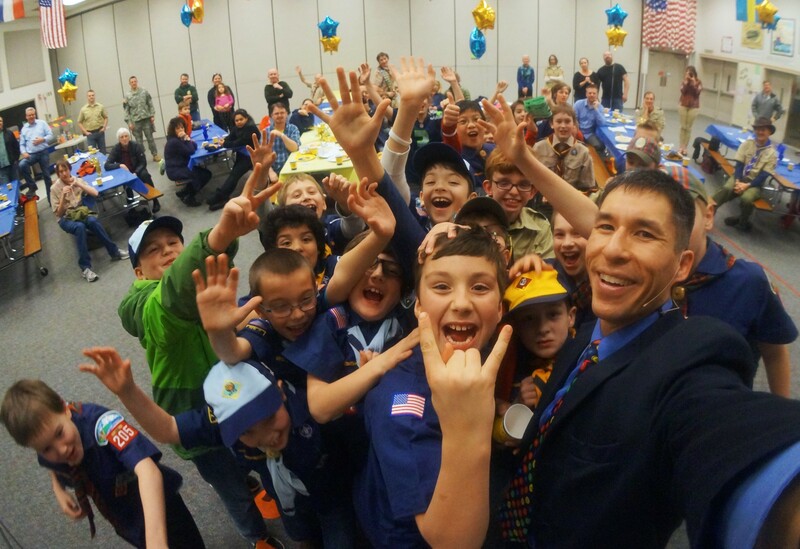 The month of February is the anniversary of scouting, and the Blue and Gold banquet is the party! It brings families together for an evening of recognition and celebration. 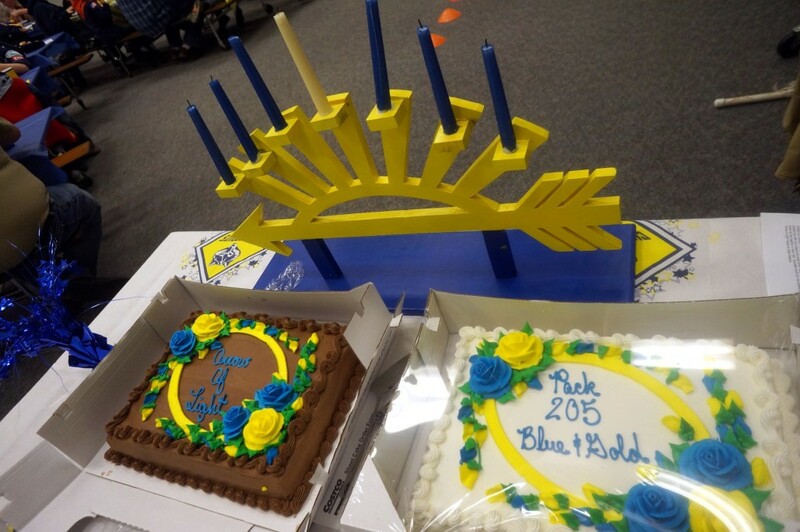 The Arrow of Light ceremony is frequently part of this event and marks the “graduation” of a cub scout into the ranks of boy scouts. Parents are there for the occasion, and sometimes grandparents, community leaders, or older scouts who have been part of a scouting event during the year. There may be songs, skits (mercifully short), and awards. And each time I’ve been to a blue and gold banquet they’ve also had a magician. (I know, what a coincidence!) Anyway, this year I’m doing three of these, and I always have a blast. Caution: scouts are an enthusiastic bunch and can get a little carried away. To keep and hold their attention, you have to bring your A game. Personally, I love these high-energy shows! 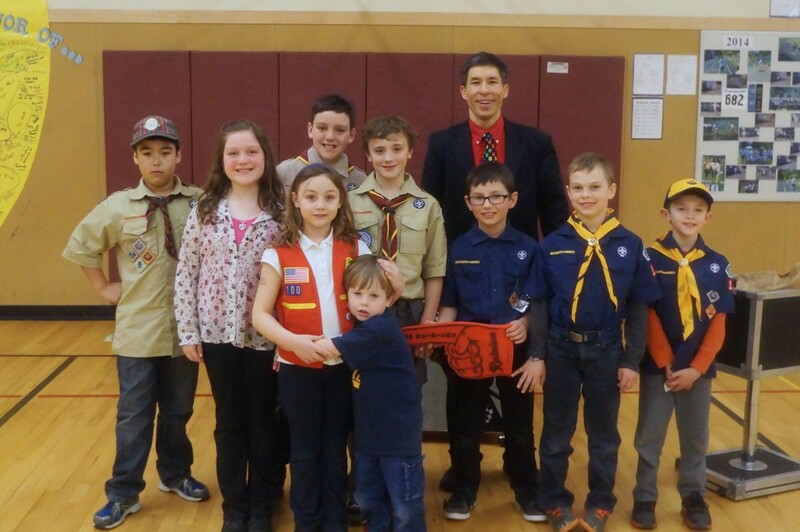 Learn more about my magic shows for cub scouts and boy scouts in western Washington online or call me, Jeff Evans, in Olympia at 360-412-5064 or send e-mail to jeff[at]amazementproductions.com. This entry was posted in Uncategorized and tagged arrow of light, blue and gold, boy scout, boy scout magician, cub scout, cub scout magician, olympia magician, scout magic, scouting. Bookmark the permalink.